According to multiple sources, said menu will consist of a rack of spring lamb and Carolina gold rice jambalaya, and it will include a side of something called “Tomato Jam,” which this blogger can only imagine is some sort of Ketchup or –as Mexicans would say, Capsu or Catsup or even Capsut. 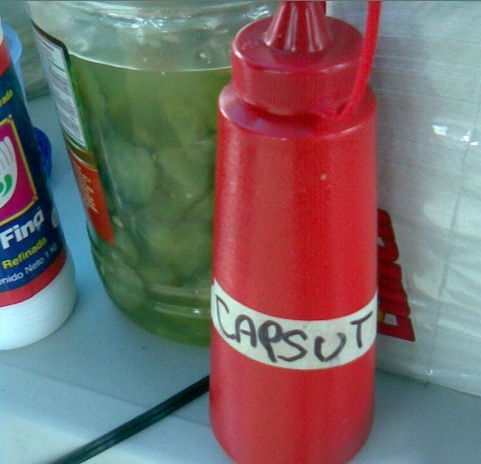 And it is in that spirit of tonight’s big binational event that I’d like to invite you, dear reader, to reminisce the Capsu/Capsut/Ketchup, which is almost as classy as the Columbia vs. Colombia one. This entry was posted in Why I Love Mexico. Bookmark the permalink. My five year old daughter essayed a flash of playfully linguistic brilliance the other day by asking for ‘Sopa de Gato’ on her sincronizado. 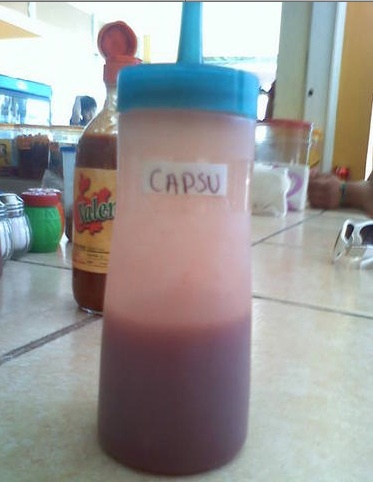 My all time fave is “capsum”. Best, ever. Currently showing at some burger joint in Coyoacan.